Well, here we are. You’ve made the decision to pursue acting. Welcome to the tribe! I’m sure as soon as the euphoria wears off, the doubts and anxieties will start to creep in. What do I do now? Can I really make this work? Will I even be any good? I’m going to try to dispel some of those doubts for you, and help you develop a plan for the next 6 months. So grab a pen and paper, and let’s get to work. First things first, call yourself an actor – none of this “I want to be an actor” or “I’m training to be an actor” stuff. Just own it from day dot. If you want to be an actor, then boom, you’re an actor. Simple as that. This is the first step to manifesting your goals in life – if you put it out there, the universe will meet you halfway. I truly believe that. If you feel uncertainty when you say it, then maybe this isn’t the path for you. Be brave, and commit to it wholeheartedly. If you are uncertain, then your work will be uncertain, and training institutions will be uncertain, and agents will be uncertain, and casting directors will be uncertain. Another part of this is to find your cheerleaders, and if not – be your own cheerleader. Find people and cultivate a community of supportive, passionate and hardworking actors and creatives. Easier said than done, but if you put yourself out there, you will find your tribe. 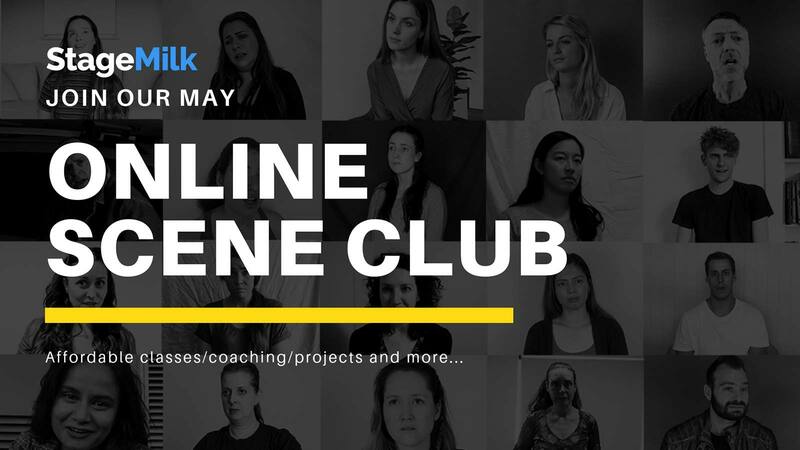 It’s very hard going it alone, and it’s much nicer to have some solid friends whom you can call on for help with shooting a self-tape, for advice over coffee, or for a referral to an Agency. Before we get stuck into logistics and practicalities, I want to reinforce this: be prepared to work. This is not an easy path you’ve chosen – it will be a path fraught with financial instability, rejection, humiliation, anxiety and steep competition. But that doesn’t mean it isn’t worth it. Every moment of my acting career I have been grateful, and proud. If you are prepared to put in the hours, you will cultivate a wonderful community, and the work will follow. It’s up to you to develop your 6 month plan, but here are some guidelines to follow. Plot your 6 month plan on a large piece of A3 paper. Map it out like a mind map, or as a list, or with pictures, glitter, stickers or stamps – this is for your eyes only. Put it somewhere that you’ll see it regularly – mine is above my computer at my desk. It could also be in your wardrobe, or next to your bathroom mirror, or under your pillow even! Be realistic: Look, you will not be a regular lead on the next season of Riverdale in 3 months time. You might not even have an Agent in 6 months time. Don’t get disheartened – often we forget that acting is a career like any other. You wouldn’t expect to pick up a violin one day and be playing at the Opera House 6 months later would you? You need to train, you need to assemble your assets, you need to hustle and you need to build a network. All of these things take time. Get ideas from friends, mentors, colleagues. If you’ve got no idea where to begin, ask for help! 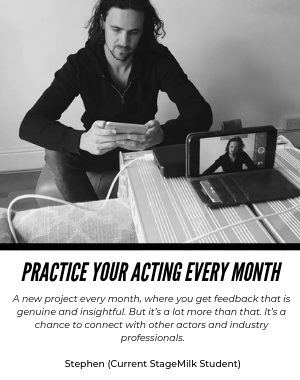 Ask other actors how they got through their first 6 months. For me, I started when I was 15. I wanted to finish school first, so I did acting class in the afternoons. Then when I graduated school at 18, I auditioned for Drama schools and got in. Then I trained for 3 years, refining my skills, and building my network. Then I had showcase, and signed with an Agent. Then I started auditioning. I continue to hustle, to update my toolkit, to train. It’s been 5 years, and I’m nowhere near Riverdale, but I’m having an absolute blast. Be prepared to shift and change. Just because you wrote it down doesn’t mean it’s a sure thing. Be prepared to shift your goals back a few months if you need to. Not everything works out perfectly all the time – no matter how badly we wish it did! Much like your 6 month plan, you need to be realistic, be prepared to shift and change. 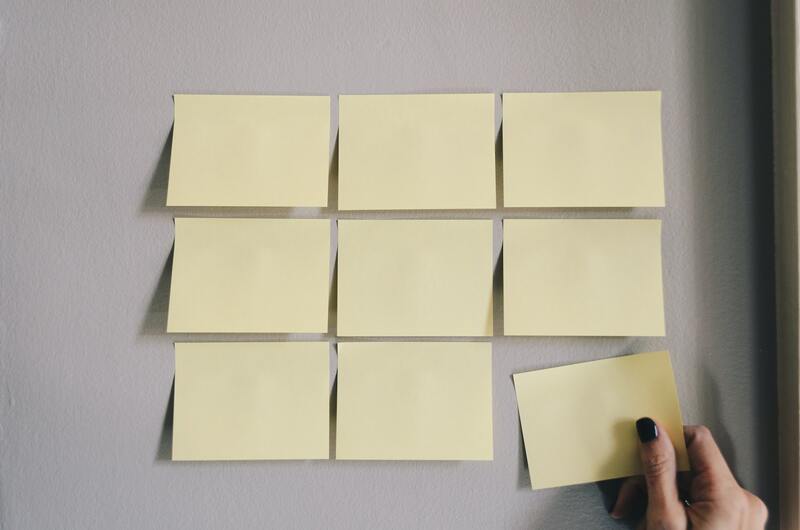 Write this one out too, but this piece of paper can live somewhere more private, perhaps inside your wardrobe, or in a notebook in the shelf, or even in Notes on your phone. It can include positive affirmations and you can be as specific or undefined as you want. E.g. “Train at a reputable Drama School” , “Tackle Joan of Arc on a small stage”, “Learn more about myself as an actor, and as a human” , “Meet other passionate hardworking people and form a production company”. 10,000 hours. I always come back to Malcolm Gladwell’s principle that 10,000 hours of “deliberate practice” are needed to become world-class in any field. So now is the time to get started. You’ve got some options here for training. My highest recommendation is Drama School – a full-time 3 year course at a reputable institution. Here’s our list of top drama schools around the world. Another option is to do a short course, perhaps a 1 year intensive on Saturdays, or a foundational class for 12 weeks, to get a taste for it. Nothing compares with the atmosphere of training with a group of actors, and being in a classroom and learning off each other, it is truly invaluable as a learning experience. There are some wonderful weekly classes and short courses available around the world, here’s our list. At the end of the day, training is essential. Agents won’t look at your work or sign you, Casting Directors won’t get you in for auditions and you won’t be booking jobs without any training behind you. Figure out how you’d like to train, and just get started. Which Drama School is Right for Me? Once you’ve spent a couple months in training, it’s time to look at the business side of the acting game. Every actor needs to assemble an actors toolkit, which is made up of your headshot, showreel, CV and online profiles. If the industry has never met you, and needs to assess your suitability for a role from behind a computer screen, this is what they’ll be referring to. So it’s essential to have an actor’s toolkit, because without it – you don’t exist. Your headshot is your first point of contact, it’s your first impression, it’s your brand, your image, your signature. I often come across actor’s headshots that aren’t quite up to scratch – either they didn’t go to a professional headshot photographer, they’re overly retouched, or they just don’t look like the actor themselves. Getting professional headshots taken is a really important investment for your career. A showreel is the next essential element in your actor’s toolkit. The focus of the acting industry is film and TV, and so agents and casting agents will most definitely want to see your work on camera before bringing you in for an audition. Otherwise, you are too much of a risk, and they do not have the time or money to take risks these days. Having a slick, professional showreel which showcases your best work is crucial in getting you an agent, an audition, or a role. Showreels can either be a combination of your professional work or just a few audition tapes cut together. Keep them short and sweet, and always put your best work first. Aside from headshots, a CV or resume is an actor’s number one tool for getting in the room. True, crafting an honest resume that is simple and yet eye-catching is on occasion an utterly painful process, but it’s always a crucial one. Your online profile is where you will present your headshot, your showreel and your CV in a nice little package. It’s super important to be a member to the reputable casting profiles (relevant to your country) After looking at your headshot and showreel, agents, casting agents, and producers will google search you. You want the first thing they see to be your casting profiles. In particular IMDb. So, jump onto IMDb pro and make sure that everything is up to date. Don’t forget IMDB – no worries if you haven’t got any work to connect on there, but create an account and pay for a monthly membership, so you can create a profile for yourself and upload some images. Getting this IMDBPro membership is also super helpful for getting more behind the scenes information about companies, and other actors in the industry. The industry expects a certain standard when it comes to your Actor’s Toolkit. Make sure you adhere to it, and invest in professional services to give yourself the best shot at landing representation, and then landing gigs. Towards the end of your 6 month plan, it’s worth exploring representation. An acting agent is your foot into the industry – without representation it is incredibly difficult to get auditions, and therefore near impossible to land any roles (paid). If you feel like you’re ready (you’ve got some training behind you, and your actor’s toolkit in order) you can start sending some emails in search of representation. If you don’t feel ready, or you’ve just begun training at Drama School, then don’t worry about representation just yet. For some actors, it may take 5 years to land an agent, and others 2 months. It really depends on the person, and the time of year – being in the right place at the right time. If you don’t end up getting an agent after your send out, you have two options: throw in the towel, or get proactive as all hell and join a small, but awesome group of self managed actors, who hustle for work – freelancers. Whilst doing this, keep training. Never let your skills go flabby, so that in 6-12 months time, you’re ready to apply to agencies again. Even if you do get representation, now you need to start amassing some experience on screen or on stage. Do not turn your nose up at unpaid work. Apply for short films, work on Indie theatre productions, put on your own productions and make your own short films. There is absolutely nothing holding you back – assemble a team, and get to work. Who cares if it’s no good, you can always bury it and never show anyone. The important thing is that you’ll have learnt a whole lot from the experience. Also don’t shy away from other work in the industry – get work as a design assistant, do some production assistant work. Expose yourself to as many film sets and theatre productions as you possibly can. This is a great way to learn how the system works, but to also meet people and watch other actors. That should give you plenty of ideas for how to best attack your first 6 months as an actor. Remember that just like Rome, an acting career isn’t built in a day – these things take time. Don’t beat yourself up for not being on Riverdale in 6 months, focus on training and focus on the joy of the work, the rest will fall into place. I wish you the best of luck, but if you work hard and work smart, you won’t need it!